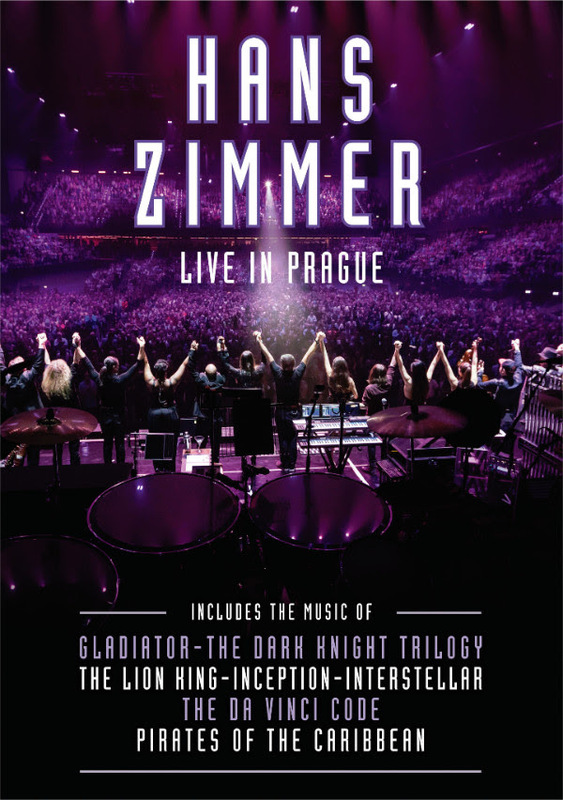 On 3 November 2017, Eagle Rock Entertainment release “Live In Prague” from Hans Zimmer, one of the most successful film music composers working today, simultaneously on DVD, Blu-ray, 2CD, 4LP set, Deluxe Edition [Cat Nos EREDV1300, ERBRD5338, EDCD670 and EAGLP675 respectively], and on Digital Video and Digital Audio. Hans Zimmer has won one Academy Award for “The Lion King” and been nominated on nine other occasions. His film scores have also won 2 Golden Globes, 4 Grammys, 4 Satellite Awards, 3 Saturn Awards and 3 Classical Brit Awards along with many more nominations. The “Live In Prague” show features themes from: Gladiator, Interstellar, The Da Vinci Code, Pirates Of The Caribbean, Sherlock Holmes, The Dark Knight Trilogy, The Lion King, Crimson Tide, Inception, Rain Man, Driving Miss Daisy and more! There will be a “one day only” theatrical release of the concert film in early October. Zimmer’s multi-award winning career reaches back to the mid-eighties and he has developed close working relationships with renowned directors such as Ridley Scott, Tony Scott, Michael Bay, Ron Howard, Gore Verbinski and Christopher Nolan. His credits include some of the biggest blockbuster movies of all time along with acclaimed TV series such as The Crown and Planet Earth II. This concert was filmed on 7th May 2016 in Prague during Hans Zimmer’s hugely successful European concert tour. Hans was accompanied by a band, orchestra and choir, 72 musicians in total, including guitarist Johnny Marr. The staging was spectacular with a ground breaking light show, stunning visuals and a state of the art sound system. Hans Zimmer performs on multiple instruments and gives introductory insights to many of the pieces during the concert. This year Hans Zimmer has toured across Europe and he takes his show to North America this Summer. He has also written the score for the new Christopher Nolan film “Dunkirk,” which is expected to be one of the biggest films of 2017. “Live In Prague” is both a celebration of a rare talent and a treat for lovers of both great music and great movies.